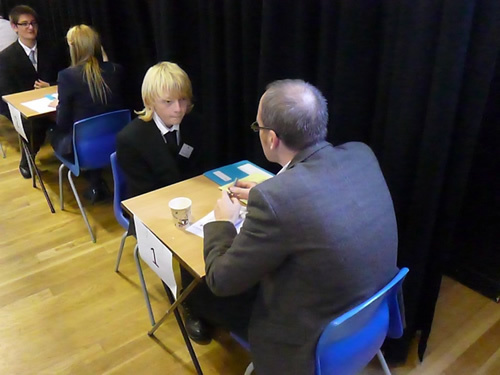 CRE8 was really happy to help out at our client Westleigh High School’s recent Y11 mock interview day. The day is designed to prepare students for the world of work; each participant completes an application form, setting out what they perceive to be their strengths and weaknesses, as well as listing their achievements, interests, personal goals and career aspirations. We reviewed these beforehand so we knew who we were meeting and what to look for.